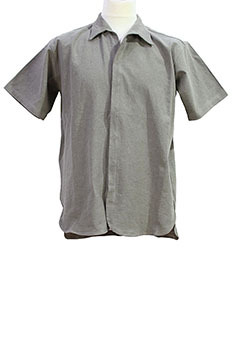 The Lost Explorer 'Auk' shirt made in USA. Light olive colour, washed style. Short sleeves. Shaped collar. 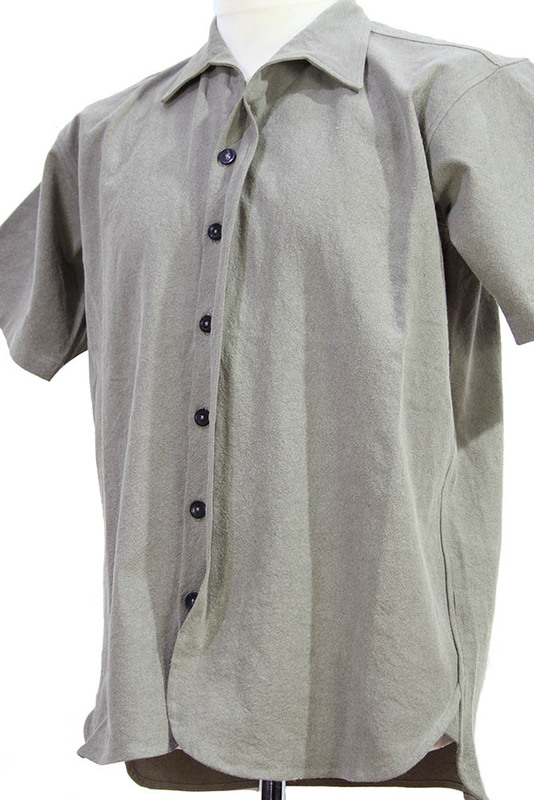 6 button fastening with placket hiding buttons. 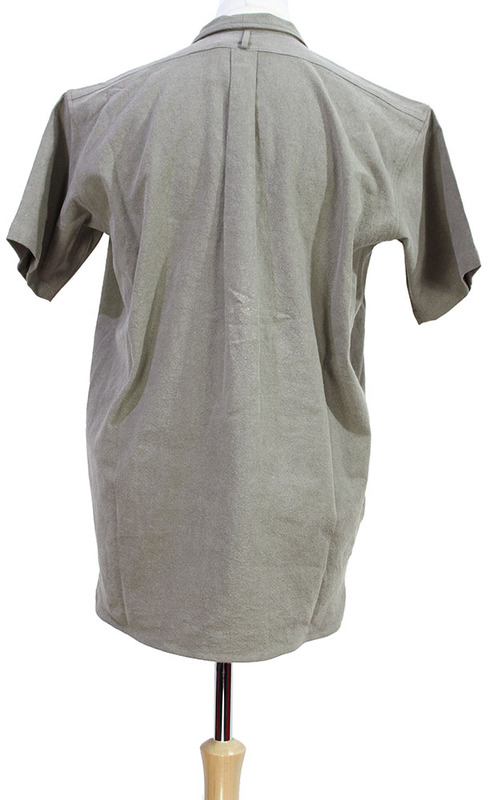 Curved hems with small triangular insets at each side and slightly longer at the rear. Box pleat at rear with vertical hang loop above. Lovely shirt in a great fabric.